If you are interested in Brazil Real Estate, you will be happy to hear that this country has a lot to offer. There are several reasons to buy a property in Brazil. • The economy of Brazil is growing. According to some predictions (Goldman Sachs), Brazil will be the fifth largest economy by 2050. • The real estate prices in Brazil are very attractive. The economy is getting more developed, inflation is low, and Brazilian population is encouraged to buy property. This will lead to higher prices. Therefore, if you want to buy a house in Brazil, you should not wait too long. • The Government expects significant growth in the mortgage market by 2014, and Brazilian real estate value will increase. • Building costs are very low, compared to other countries. This means that Brazil offers great opportunities for investors. A property can be bought at low prices, and the building costs are also low. However, with economic growth, these costs will go higher. • Foreign investments in Brazil is encouraged. 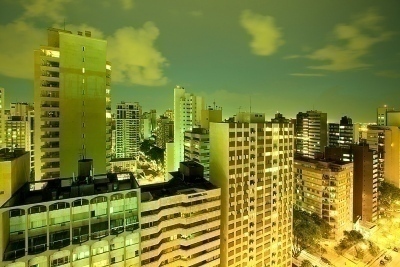 There are no any restrictions for foreigners who want to buy property in Brazil. However, some limitations do exist for areas like islands, marine land, and agricultural land. Buying land near the international borders can be difficult. • Another thing that makes Brazil so attractive to foreign investors is lower inflation. • Tourism in Brazil is developed, and it will grow even more, so coastal property prices are expected to go higher. The promotion of tourism is one of the most important activities. Several operators have direct flights to Portugal, Spain, France, Italy, Argentina, USA, Germany, and Scandinavia. • This country is large, but peaceful. You will find very little (or no) political tension there. People are friendly and you will feel good! This is one of the reasons why so many tourists keep coming back. • There are no natural disasters in Brazil – no tropical storms, no hurricanes, no floods or tsunamis! • Low cost of living is another good thing about this country. Only real estate agents can take part in real estate transactions. CRECI – The Regional Councils of Real Estate Professionals has strict rules and standards in the real estate business. Official agents have their ID cards, so make sure to see the card before you start any negotiations. The cards can be verified easily. You just have to contact CRECI.